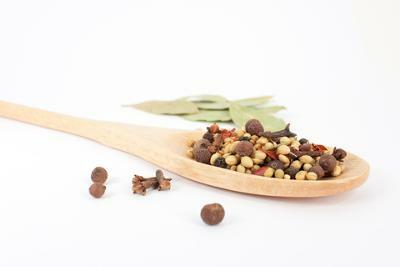 Hi, I love making my own spice blends, I normally just use ground spices and mix together but after reading through your website I gave the roasting and grinding the whole spices a try. They gave off a really nice, strong aroma. This is my recipe and photos for curry powder. I roasted the coriander, cumin, cloves and peppercorns and in my pestle and mortar, crushed them as fine as I could. I then mixed with the other ingredients. That's it! Super easy. It made about 7 tablespoons. Gonna add some to my homemade soup later. 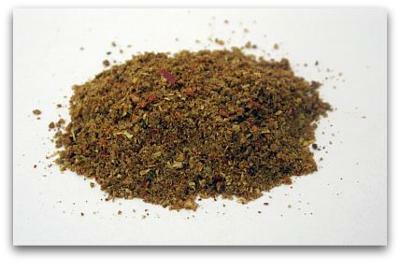 I've added a photo of the ingredients and the finished powder. Bespoke Spices Reply... Thanks for the recipe & photos Jamie. It does sound and look tasty, I'll have to give it a try. Join in and write your own page! It's easy to do. How? Simply click here to return to Herbs and Spices Recipes. My hobby is pickling fruit and vegetables and selling at farmers markets, something I've been doing for years. I find the commercial pickling spice brands have all sorts of "added extras", additives and preservatives, so over the years I have been making my own. I have different ones for various types of fruit and veg. This one is a favourite. Combine all ingredients and store in a airtight container out of direct sunlight until you need them. Thanks Jen, exactly the kind of recipe I'm after. Homemade pickling is something I've always wanted to try. To get even more flavour out of your pickling hobby I do recommend lightly roasting some of the whole spices first. This releases the essential oils and greatly enhances the flavour and aroma. Looking at your recipe I would do this with all the spices you use, except the bay leaves and chilli flakes. Then let cool, combine them and store in an airtight jar. 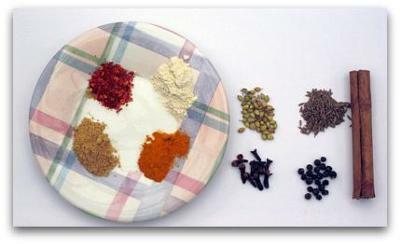 See cooking with spices for "step-by-step" info and photos on roasting.